10 leading events it would succeed the second longest event in 1997 by two months. 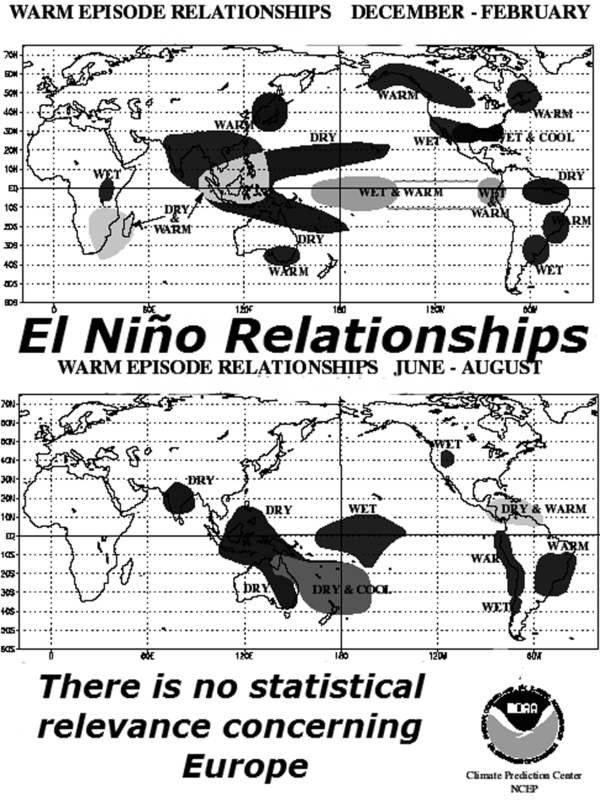 The temperature maps for the months of September, October and November 1939 (TM7, p. 93) do not confirm the assertion that an El Niño commenced in fall 1939. 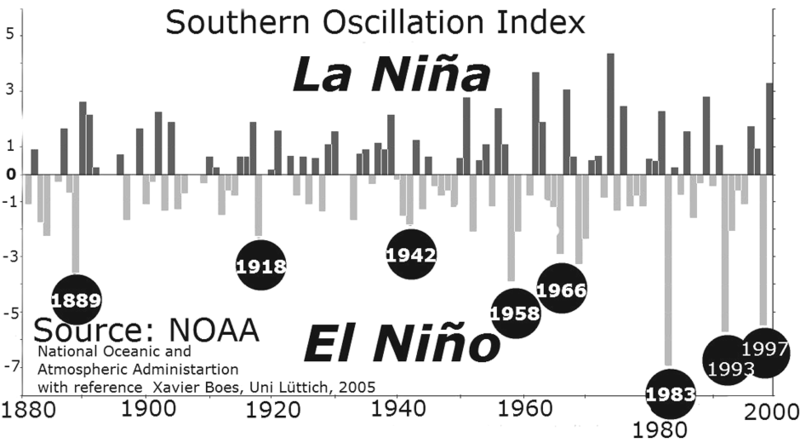 It rather looks like a La Niña situation prevailed, even in December 1939. The indicated temperature rise covers a small area and it is modest. While the Pacific in the fourth Quarter 1939 represents average (TM6; Ch. 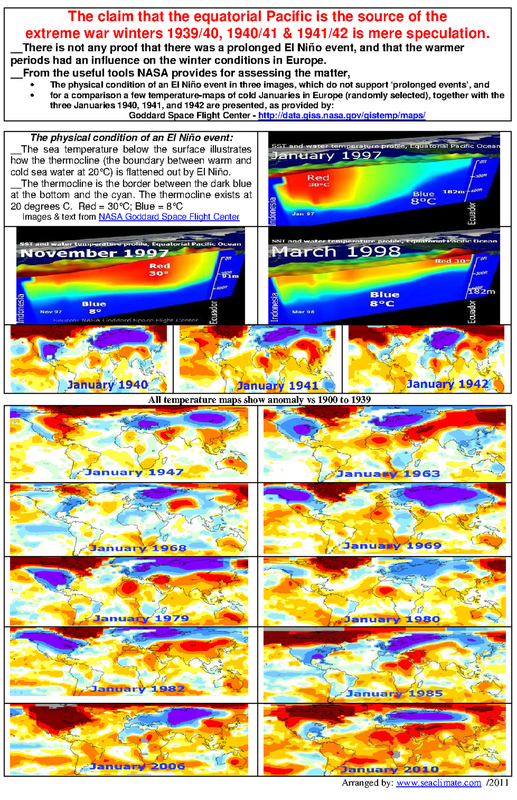 C5), in Europe September, November and December are below average conditions (TK6). 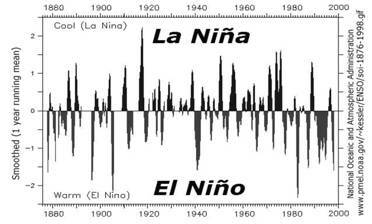 At the time an El Niño event shows up in the TM7 for January 1940 the weather parameters that shaped the extreme winter weather had already been in place for several weeks, as for example the weakening of the west wind drift (C5), and the forming of early sea ice in the German Bight (C7). 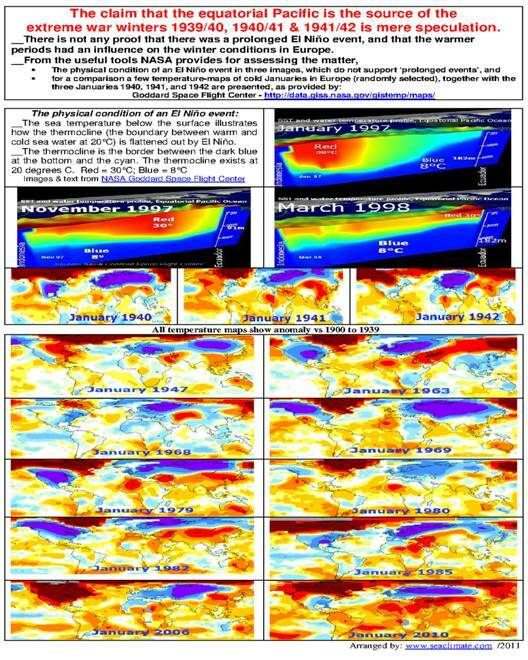 Bernaerts, Arnd (1997); ‘Reliability of sea-surface temperature data taken during wartime in the Pacific’, reported during the‘Symposium on Resource Development’, August 8-9, 1997, Hong Kong , in: PACON 97 Proceedings, pp. 240-250. 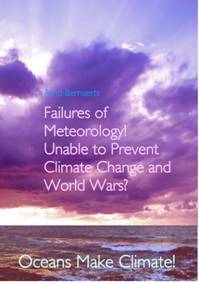 (Online in Englisch: www.oceanclimate.de, Previous Essays).